Adjustable. Adjective. 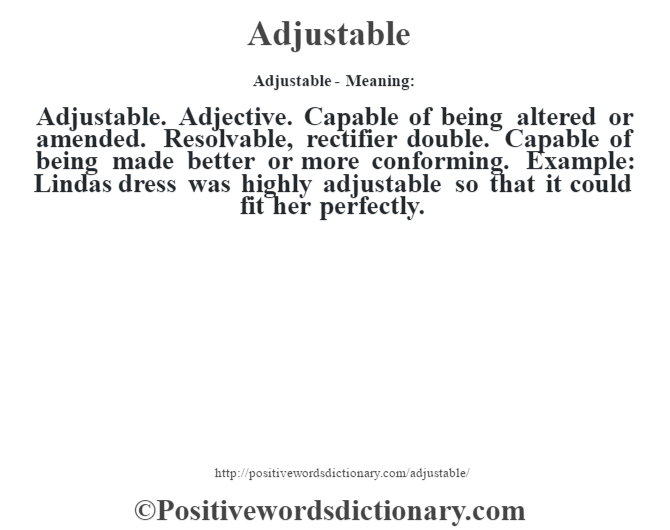 Capable of being altered or amended. Resolvable, rectifier double. Capable of being made better or more conforming. Example: Lindas dress was highly adjustable so that it could fit her perfectly.